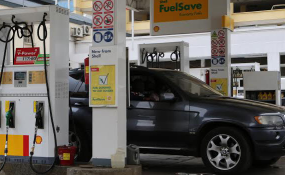 Nairobi — Kenyans will continue paying the 16 per cent Value Added Tax (VAT) on fuel products after President Uhuru Kenyatta rejected the Amended Finance Bill 2018 presented to him by National Assembly Speaker Justin Muturi. There were no immediate reasons given by the President on why he declined to sign the bill by MPs who wanted the increment suspended for two years. A statement issued on Thursday night by State House Spokeswoman Kanze Dena said the President will address the nation later today following consultations with the leadership of the National Assembly. Sources said he will use the address to explain to Kenyans why declined to sign the bill. The Energy Regulatory Commission has also failed to honour a court order that suspended the 16 per cent increment of fuel products, often saying it is yet to formally receive the orders that were issued by a High Court in Bungoma. And following the new development, National Assembly Speaker Justin Muturi has called for a special sitting of MPs next week to deliberate on the matter. In a special Gazette Notice, Muturi has scheduled the sittings for Tuesday and Thursday next week.